WIKIMEDIA, CJC2NDClostridium difficile infections can be prevented through the rebalancing of bile acids in the gut by introducing certain commensal microbes, according to a study published in Nature this week (October 23). Eric Pamer of the Memorial Sloan Kettering Cancer Center in New York City and his colleagues have demonstrated the efficacy of this approach in both mice and humans. HHMI, BETZIG LABNobel Laureate Eric Betzig and his colleagues described a new technique, lattice light-sheet microscopy, in Science this week (October 23). The approach hinges on illuminating thin sections of living sample one at a time using a targeted plane of light, enabling researchers to track the movements of single molecules in 3-D over time. HARVARD'S WYSS INSTITUTEBoston University’s James Collins and his colleagues have successfully freeze-dried gene networks and later rehydrated them, finding they were biologically active. Their work was published in Cell this week (October 23). CHARLES HAYNES, FLICKROsABCC1, a rice transporter protein, prevents environmentally acquired arsenic from damaging plant tissues by sequestering the element in vacuoles, a team led by investigators in Korea and Japan reported in PNAS this week (October 20). WIKIMEDIA, R. COLIN BLENISFaced with the invasion of a competing species, Carolina anoles began to perch higher in their tree habitats and eventually developed larger, more adhesive toe pads for a more secure grip, Todd Campbell from the University of Tampa and his colleagues showed in Science this week (October 23). The study “confirms a couple of theories that I’ve been interested in: rapid evolution and character displacement,” said Daniel Simberloff, a professor of ecology at the University of Tennessee, Knoxville, who was not involved in the study. BRIAN CHOO, FLINDERS UNIVERSITYA study published in Nature last week (October 19) challenged the notion that external fertilization was the ancestral mode of reproduction among jawed vertebrates. Researchers from Uppsala University in Sweden and their colleagues discovered structures indicative of internal fertilization in 400 million-year-old Microbrachius fossils. The finding is “going to drive a lot of debate and I think it’s one of the most important discoveries in this area of research in years,” said evolutionary biologist Martin Brazeau of Imperial College London who was not involved in the study. 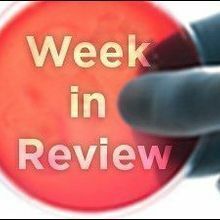 In the wake of a handful of biosafety lapses at federal research facilities, the US government is temporarily halting funding for new studies aiming to give novel functions to influenza, SARS, and MERS viruses. A paper published last month claims that electromagnetic exposure facilitates cell reprogramming, but some scientists question the evidence. A new report from the World Health Organization finds that tuberculosis has infected hundreds of thousands more people around the world than was estimated a year ago. A computer simulation could predict antibiotic resistance.